For the last 5 years a wide variety of LEDs and associated technologies have been available to the public. In the past, if you wanted some LEDs you could grab individual LEDs and drive them using a micro controller. These would allow you to drive a long length of full colour pixels with amazing colour animations. These were great for decorative lighting, strip lighting, etc. However, you could only control one segment of strips at any one time. Say you want to create a grid of pixels and control each one individually? This is where addressable pixels come in. Each one has 3 x Ultra Bright LEDs inside. Red, green and blue. There are also RGBWhite variants which will be discussed later. 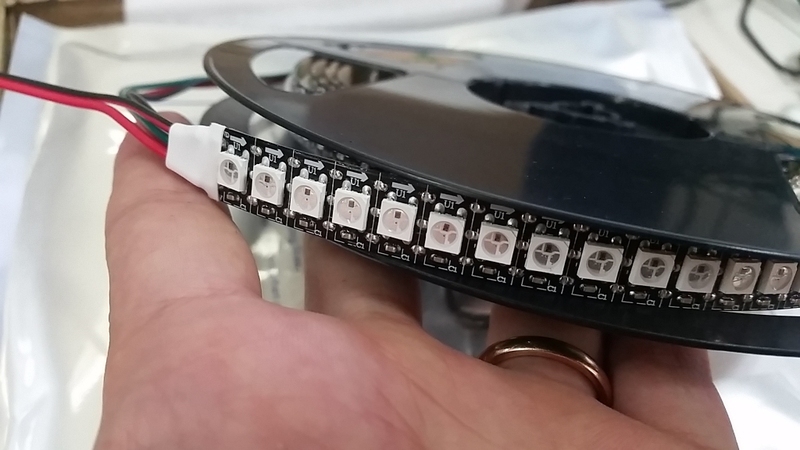 Each has a tiny IC (Integrated Circuit) built into the pixel that controls how the individual lights are activated. They can be daisy chained to create long complex systems. And more importantly, they can be individual addressed. Now you can have a long strip of pixels where each one can be told what to do and how at very high frame rates. These usually come on a semi flexible copper strip in multiple configurations and widths. They can also be purchased on any size PCB in grids, circles, pretty much any configuration you can think of. Or individual! These pixels use a protocol based on PWM (Pulse Width Modulation) to speak to one another. These type of pixels are the cheaper variant of what can be purchased. They have a maximum transfer rate of 800Khz which becomes a limiting factor on large scale installations, specifically when your control device is having to transmit data to a very long chain of pixels. The work around for this is to break up your installation into group of paralel output frame. For example. If you had a grid of pixels 100 strips wide by 100 pixel tall connected in a long daisy chain, it would take some time for all pixels to be updated and your refresh rate would be low. If you have a driver that was capable 10 x parallel output you could split your installation up into 10 blocks therefore increasing your frame rate. These are high performance pixels that have high grain control of colour and brightness settings. Please note the 3 models above are all the exact same pixel but made/trademarked by different companies. The APA102 was the original of these. Adafruit trademarked the name "Dotstar" to mean any of the above, whilst the SK9822 is a recent model made by another company. These pixels can be used for HUGE installations as they can be driven at very high frequencies. You can send data to the SK9822 pixel at a maximum of 30Mhz (30Mbit).